Has any of your Important Post been Deleted and You Want to Recover that Post? When you post any stuff to your Facebook Wall or even to any of your friend’s pages etc, Facebook gives you the option to erase entries you no longer want to see which is kind of great feature. Yet, it is often inconvenient when you accidentally delete any important post and want to recover it. Facebook has strict privacy controls in place that do not allow the retrieval of Wall messages, but if you have the right account settings, you can use a workaround that lets you get back the Wall posts you need. Click the “Messages” icon and then click the “See All Messages” link that displays at the bottom of the drop-down list. SScroll through the list of messages that appear on the page and click on the one you want to recover. Facebook lists your communications, including deleted Wall posts, by title and date. You also have the option to type a name in the Search Messages field at the top. 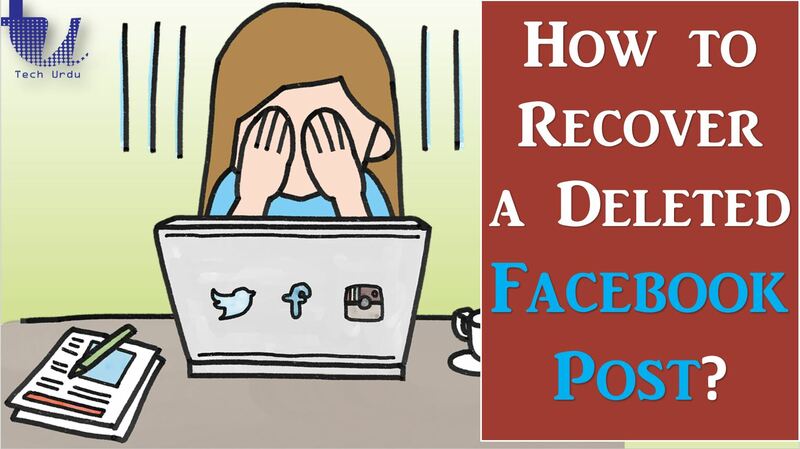 If you don’t see your desired post, it means your Facebook Settings to recover deleted posts is not enabled. So, by this time, you won’t be able to recover your deleted post, BUT, after making these changes in Settings you will be able to Recover your deleted Facebook Posts in future. Click the “Notifications” link on the left side. Click on Email. Scroll down to the Wall Comments title and click the boxes next to the “Comments on a story on your Wall” and “Comments after you on a Wall story” to turn on the email notification feature. Go to Text Messages. Turn on Text Notifications and check “Comments on your status updates or on posts to your timeline”. Lastly, Get in the habit of downloading your Facebook information so you can access your data, including erased Wall posts, when you want them. Click the “Account” menu, select “Settings“. Go to Your Facebook Information and click the Download your information. The format of your download request. The quality of photos, videos and other media. A specific date range of information. If you don’t select a date range, you’ll request all the information for the categories you’ve selected. Once we’ve finished preparing your download request, we’ll send a notification letting you know it’s ready. Go to the Available Files section of the Download Your Information tool. Click Download and enter your password. You can also click Show more to view information about your download request, such as the format and when it will expire. Again, what you’ll find is that this is an entire history of your life on Facebook.